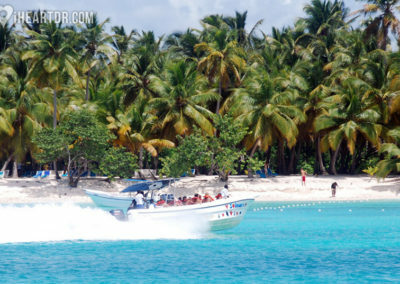 The biggest island of Dominican Republic with an area of 110 km². Belongs to the La Altagracia region and part of the Eastern National Park. 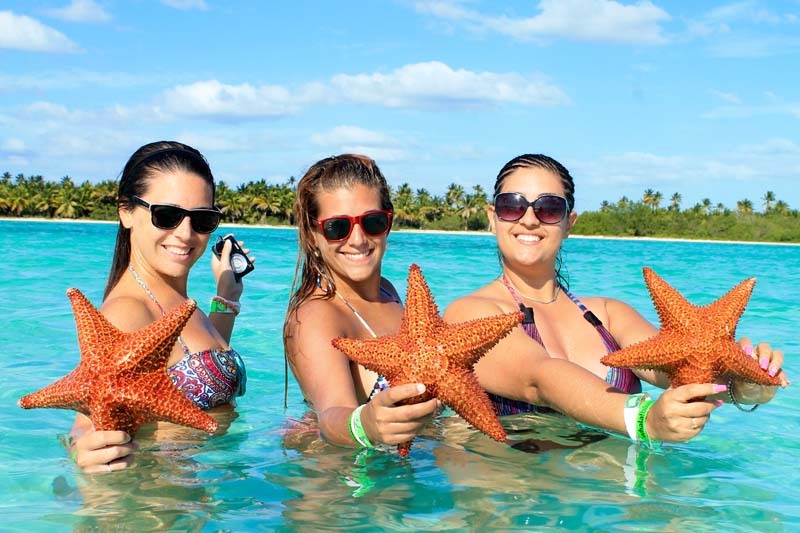 It has beautiful coral reefs, a big variety of birds and reptiles, and interesting archaeological places and caves. You are going to walk though a fishing village before arriving to the port of departure. 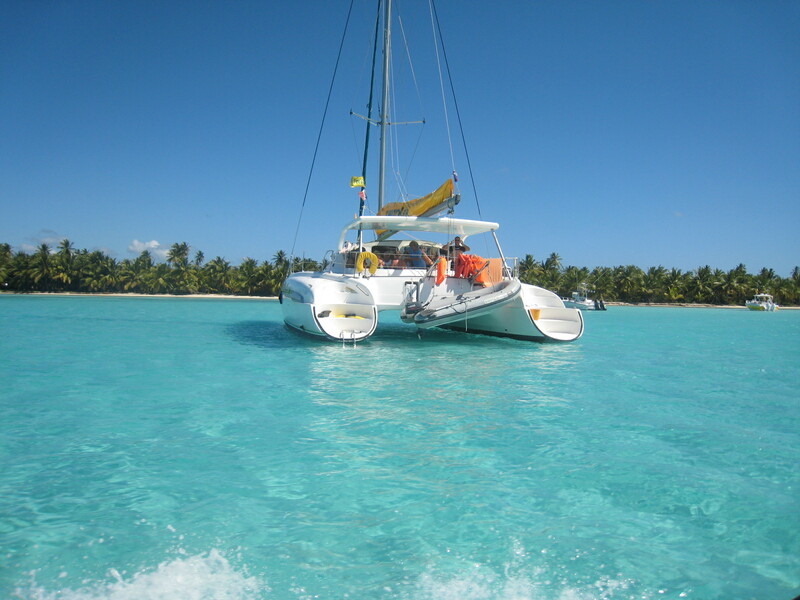 On the catamaran you are going to continue our road in the sea, visiting the most beautiful places of Eastern National Park. 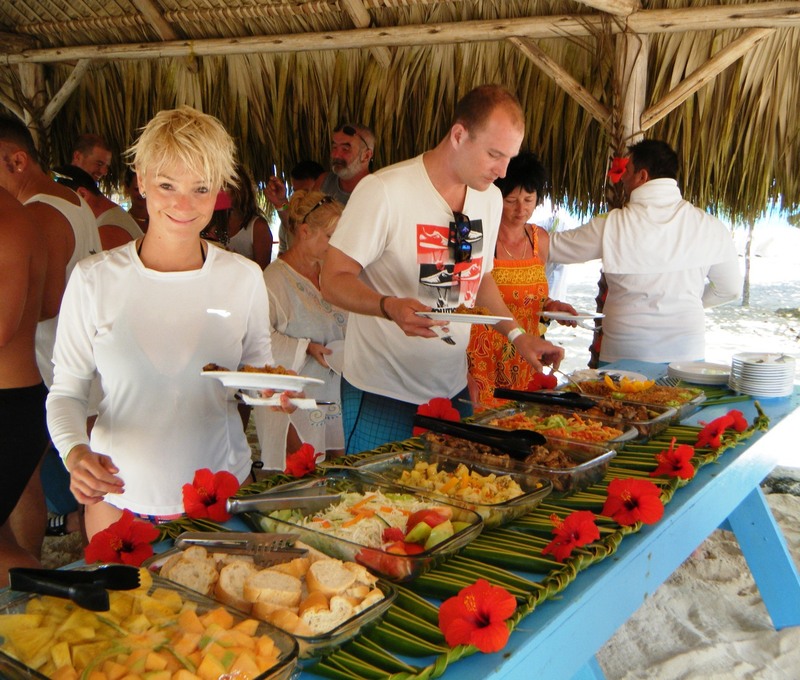 During the way you can eat delicious appetizers and refreshing local drinks, while enjoying wonderful Caribbean views, crystal clear water and white sand. 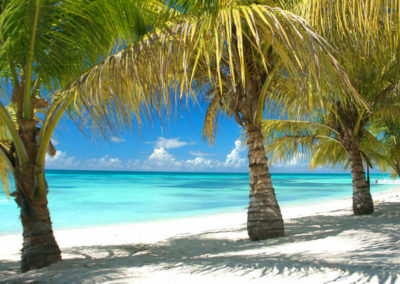 The first place of visit is Abanico Beach, where, if you have a good luck, can see dolphins, which are coming to this beach. 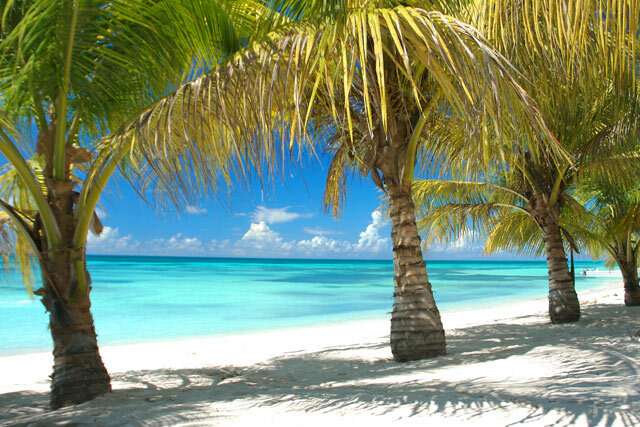 Here you are going to have 3 hours to relax and enjoy this lovely place. 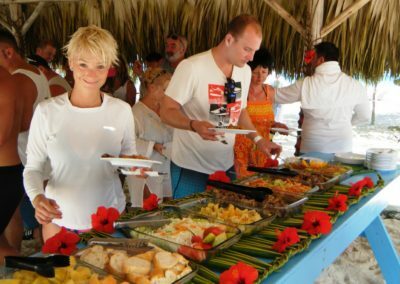 You are going to have time to swim in crystal clear water, where we have a special zone with armchairs, and then you can enjoy a delicious buffet in the restaurant under beautiful palm trees. 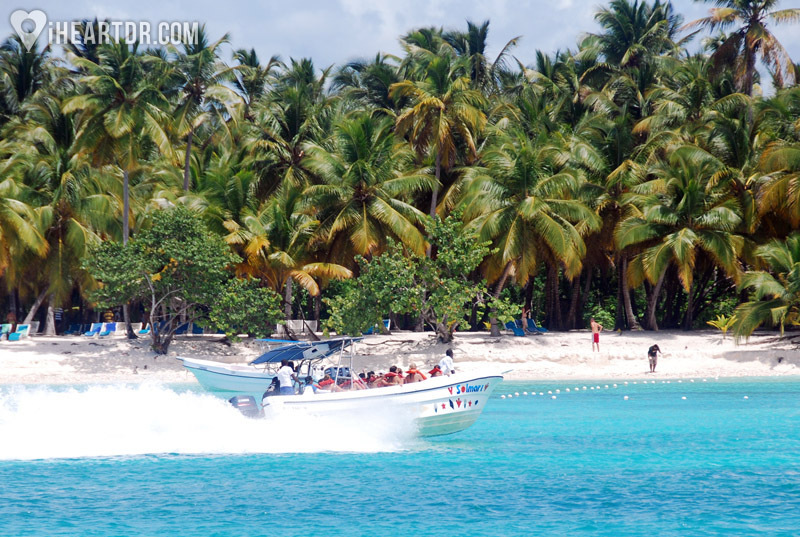 Tour continues on a speedboat to Los Manglares, where you are going to see pelicans and frigates nesting, also sometimes you can find there turtles and big manta rays. 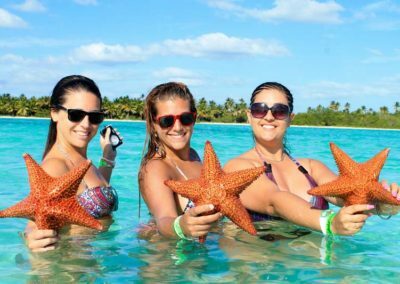 Then the tour continues in the biggest natural swimming pool in the world, where you are going to find starfish. You are going to end up at the port, from which the bus is going to take you back to the hotel, which is estimated to arrive around 6:00 pm.